To complete your registration, you may need to make payment within 3 days or before your lesson start (whichever is earlier) to confirm your slots for the lesson. 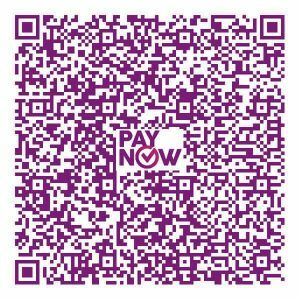 Happy Fish Swim School Pte Ltd support various payment methods, e.g. Internet banking transfer, ATM transfer, Cash, etc. Please choose your favourite way. You need to have an Internet Banking account with your bank. If you are transferring from banks other than DBS, kindly select Fast And Secure Transfers (FAST). We recommend you to insert your name as “your initials” so that we can identify your payment. Upon successful transaction, kindly click here to verify your payment with us. Step 1: Log in to your bank’s existing internet banking or mobile banking app. Step 3: Verify that the recipient’s name is Happy Fish Swim School before confirming the transfer. You need to have an ATM Card with your bank. Proceed to your bank ATM Machine and transfer your fee to our DBS Current 054-902059-1. If you are transferring from banks other than DBS, kindly select Fund Transfer To Other Bank Account. Option 1: You may mail it to 134 Jurong Gateway Road #04-309Q Singapore 600134. Option 2: You may deposit the cheque to our DBS Current 054-902059-1 at any DBS or POSB cheque deposit box. ** Cheque clearance takes 2-3 working days. Kindly click here to notify us of your cheque payment. Option 1: Cash payment is available in our office or indoor pools during working hours. Option 2: You may also deposit cash to our company’s bank account via cash deposit machine. Confirmation of TT takes various working days. Please note that any bank charges are to be borne by the Remitter. Kindly verify your payment with us upon successful transaction. Help us to serve you better. Kindly verify your payment with us as soon as succesful transfer/payment.